Every summer, we hear tragic news reports about children left alone in cars and dying from overheating, also known as hyperthermia. These terrible incidents are unfortunately more common in the state of Florida. 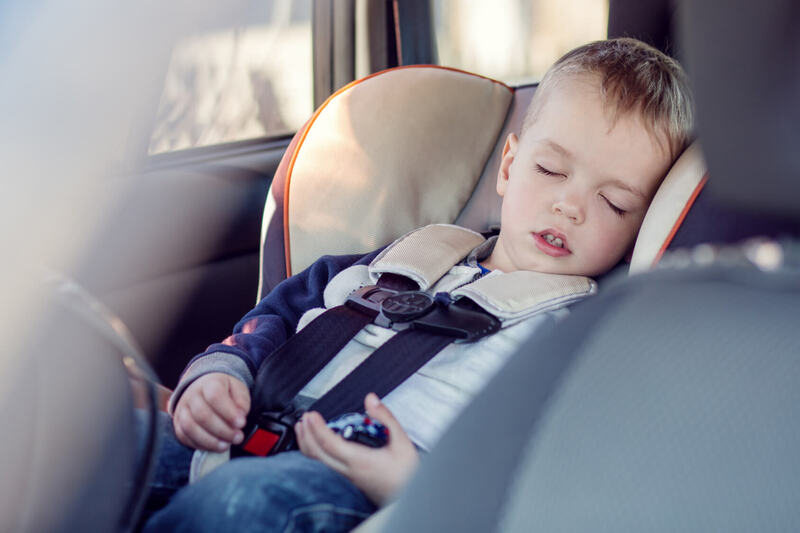 In most cases, the death of a child left alone in a vehicle is a terrible mistake made by loving parents and caregivers, or even the result of a child getting into a vehicle on his or her own and becoming trapped inside. Hyperthermia happens more quickly in children than adults because children cannot control their body temperature as well. Their small bodies warm up three to five times faster. When the body’s core temperature reaches 104 degrees F, hyperthermia can set in, and may lead to permanent injury. At a core body temperature of 107 degrees, death often occurs. An average of 38 children die each year from hyperthermia while inside vehicles. Even when death does not occur, children can suffer permanent injury to the brain and internal organs. Studies conducted by San Francisco State University have found that even when it’s relatively cool outside—around 80 degrees—the inside of a vehicle can quickly reach dangerous temperatures. In fact, within 10 minutes, the inside temperature of that vehicle will be almost 20 degrees hotter than the outside temperature, and after 30 minutes the vehicle’s temperature will be 34 degrees hotter. For a visual representation of how this works, watch this video. No single step can be relied upon to keep children safe from hyperthermia in vehicles. By putting several safety nets in place, parents can decrease their chances of leaving their child behind or of their child unintentionally entering an unlocked vehicle. • Check to make sure that all children leave the vehicle when you do. • Place something you’ll need — your purse, briefcase, diaper bag, etc. (even your shoe!) on the floor of the backseat where your child is sitting. This will force you to go to the back seat, helping to avoid forgetting a child, especially a sleeping infant or toddler. This may be especially helpful if there is a change in a normal routine, such as dad dropping off the child at childcare when mom usually does this. • Set an alarm on your cell phone, tablet, or other device to serve as a reminder to be sure you dropped your child off at childcare, sitters, etc. There are even apps you can buy to automate this process for you. • Ask your daycare, sitter, etc. to call within a few minutes of your normal drop-off time if your child has not arrived and you have not called him or her in sick. • Keep vehicle doors locked and trunks closed and keep keys and remote entry devices out of children’s reach. • Teach children that it is never okay to play in vehicles. Twenty states currently have laws of various types that prohibit leaving children (usually, those under age 12) unattended in a vehicle, and 13 have proposed legislation along these lines. In Florida, the law (FS316.6135) states that “A parent, legal guardian, or other person responsible for a child younger than 6 years of age may not leave such child unattended or unsupervised in a motor vehicle a) for a period in excess of 15 minutes, or b) for any period of time if the motor vehicle is running, the health of the child is in danger, or the child appears to be in distress.” To find out the laws in your state, visit http://www.ggweather.com/heat/laws.htm. By understanding the dangers of children left unattended in vehicles and by providing ourselves with simple reminders that children (especially babies) are traveling with us in vehicles, we can keep our children safe and reduce the number of needless tragedies. Kids and Cars – Provides information on a variety of issues related to kids and cars, including state laws, where applicable. Gayle has been serving as a Family and Consumer Sciences Extension agent with the UF/IFAS Extension - Brevard County office since 1996. She provides programming in the areas of personal and family financial management, child injury prevention, and aging.